Probably you have no idea how comfortable and beautiful look can be an electric fireplace, if you don’t at your home. Do you know many homeowners one of the dream is to have a cozy living room to enjoy a cool winter evening. Sitting in front of the fire with loved one, probably sipping wine at winter season, can be very romantic. Some features of the house offers an instant escape from reality like a fireplace. A best electric fireplace can be enjoyable date night with a lower cost. For this, there is no need to make reservation in the city`s new fancy restaurant. Even parents who are not able to get away just because trouble finding a babysitter, they also can enjoy a romantic fireside ambience without go anywhere. One of the great advantages of an electric furnace is that it does not have to be so difficult to maintain. In case of other fireplace, you have to think twice only for maintenance. Real wood creates fumes and ash, when you burn into the real fire. When the smoke, fumes, and ash go up in your chimney, it leaves soot. For this reason, you need to clean your chimney on a regular basis so that smoke can safely travel up of your home. However it’s not the case with electric fireplaces. There is no chimney to clean and you never have to worry to cleaning up the ash. Just take it out the box and plug it in and turn it off when you’re done and there is no additional maintenance or cleaning necessary. No other heating appliance offers the kind of cozy warmth that you can only get from a fire. There is a huge difference between being warmed up by your house other heating system compared to a fireplace. Fireplaces provide a place to gather around with the friends and family. Just imagine yourself curled up on the sofa with a book or even watching the TV in front of the warm fireplace, isn’t it enjoyment!! So you can enjoy this cozy fire with other indoor activities. If you are constantly using your home’s heating system during winter season some of your energy bills might increase. An electric fireplace is an efficient way to heat the room without increasing your electric bill. Because all of the energy that an electric fireplace uses transform into heat, electric fireplaces are 100% energy efficient. Supplemental heating method is a very effective way to save money while keeping your home at a comfortable temperature. Also two other great options are portable space heaters and infrared heaters. In these way electric fireplaces use less electricity than your home’s main heating system, and potentially lowering your energy bill during snow season. A fireplace improves the atmosphere of your home, but fireplace installation can be expensive and crave a great deal of maintenance. But you do not need to worry about knocking out a wall or performing heavy remodeling to install your electric fireplace. Mostly, you may plug the device in and leave it up against a wall. Some people have different safety care when it comes to fireplace. They can get piping hot, dangerous for children and then naturally there are the toxic fumes they mostly cast. Electric fireplaces are a superb addition to adding supplemental heat for an aged person’s living area, a baby’s nursery or any one room when it is not proficient to heat only one room with your central heating. You do not have to worry about children getting their hands in the fire or about breathing into the plums of smoke, when you switch to electric. Usually traditional fireplaces burn wood to create heat, this causes toxic fumes and smoke to soak the home; not to mention the danger of children probably getting hurt. In this case electric fireplace generated a igneous depiction without the toxins and hazard. The first question may come to mind that, how much a fireplace can adds value of your home? The National Center for Real Estate Research says that fireplace can increase the mean home values by 6-12%. A modern electric fireplace can be installed in 15 minutes and instantaneously affect the value of your home. With large array of colors, shapes and sizes they come as the focal point of every home, the hearth serves as an assemblage point for all to warm up around. In addition, 40% of homebuyers said that they would even pay extra for a house with a fireplace. 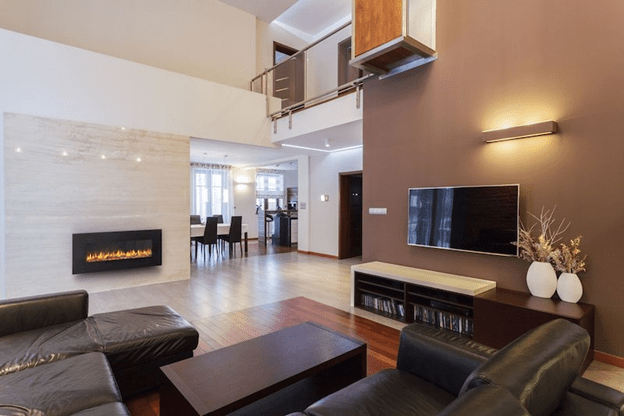 The electric fireplace is one of the most preferred features of a home and failing for upgrade can lead you to miss out on an easy financial convenience. Finally, though, at the end of the day they can also be some hazard, but having a electric fireplace is much beneficial to your home. 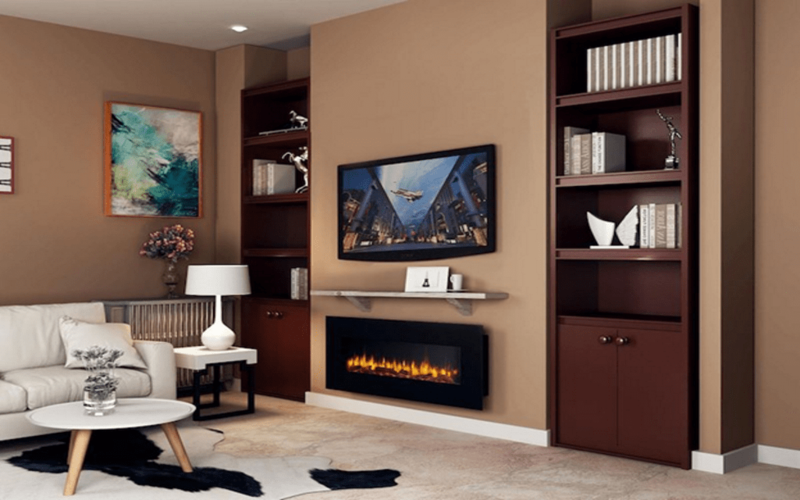 If you are ready to enjoy the coziness of a fireplace without all of the maintenance, costs and dangers combined with owning one, then an electric fireplace maybe the right device for you. A Freelancer, Internet marketer and a part-time writer. ”Creating My Own Wave"